For our group, we had pulled from several different styles and experience levels of runners. For one of us it was a first ever timed race, for others it was an all time longest distance, or an all time best speed. To run any race, you must at least like running and be fit enough to see it through. That being said, any runner can enjoy this race. Runners, depending on team dynamics, can run any where from 6.6 to 14.3 miles in a split between two or three legs. The race maintains a great energy as a relay and was able to capture more than team dynamics. Being a long distance “Market to Market” race made this so unique and fun. The race started at various times throughout the morning. 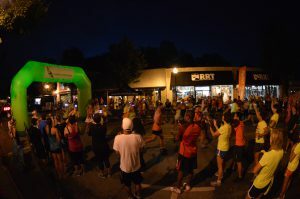 For us it was a 6:30 start time right in the middle of Old Milford, on Main Street, directly in front of Roads Rivers and Trails. With a safety vest and headlamp, I took off first for my first team race and it drove me to push harder and for longer than I ever had before. The group had gone through the race packets and race directions already, but we had no idea how impeccable they would be in guiding both runners and drivers without incident. Each team shared a van and would meet their runners at the next checkpoint for the hand-off. From the time you got back in the car and drove ahead you would often not even have time for a full snack. Cheering your runners in and right back out of the gate kept the team’s energy high. The changing van dynamic and the race within a race that was catching up with the previous runner made the time fly by! 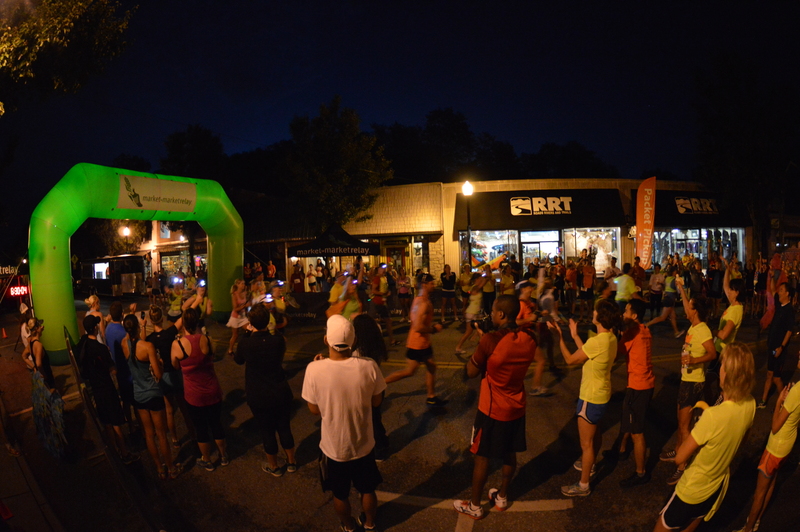 The M2M also encourages van decor and runners costumes for those that would like to participate. The race ran through a good leg of Ohio countryside, revealing beautiful landmarks and parks (Such as Ft. Ancient and Caesar’s Creek), along with the sights and sounds that the state boasts between Cincinnati and Dayton. In and out of small towns, the Market to Market supports more than a runners mentality. 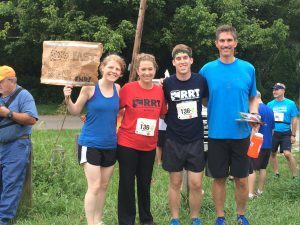 Also supported are local businesses and communities, the runners gaining awareness of the trail outside of their particular part of the state . People bought morning coffee on Main St. in Milford and evening dinner on “Main St.” in Dayton, a beautiful idea that was executed and organized without flaw by the race organizers. This was the Market to Market Relay’s first time being hosted in Ohio, but you would have never known if you weren’t told.